KANSAS CITY, MO. (Jan. 15, 2019) – Monster Jam®, the unexpected, unscripted, and unforgettable family-friendly motor sport announced today the first-ever event at Arrowhead Stadium, June 15, 2019. This stadium event will bring a new level of high-flying, four-wheel excitement to the entire family with racing, two-wheel skills and freestyle competitions. Tickets go on sale to the public Friday, January 18th via Ticketmaster; sign up in advance to become a Monster Jam Preferred Customer to get early purchase access to Monster Jam tickets with a special code during the venue pre-sale period from January 16-18: https://www.monsterjam.com/en-US/preferred-customer-page. As part of the long-standing commitment from Arrowhead Stadium to the people of Jackson County, Missouri, an exclusive presale for Jackson County residents will take place tomorrow, Wednesday, January 16th, from 9am to 5pm at the Arrowhead Stadium Ticket Office. 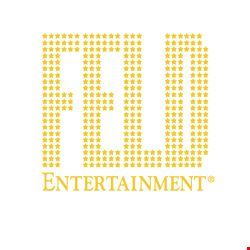 “Nearly 20 years after the first Monster Jam event in Kansas City, Feld Entertainment is thrilled to up the antics and partner with Arrowhead Stadium to give local fans the chance to see a stadium event for the first time ever! Featuring more drivers and even crazier stunts than what they’ve seen before, it’s time that this family-friendly event premieres on one of Kansas City’s greatest fields,” said Amy Dubinsky, Vice President Event Marketing and Sales, Feld Entertainment. Fans also have the opportunity to get up close and personal to the Monster Jam trucks and drivers for photo opportunities and autographs by purchasing a Pit Party pass or a Pit Party Early Access pass, which allows them early entry to the Pit Party. An event ticket is also required. Tickets & all Pit Party Passes will be available for purchase online at Ticketmaster.com, charge by phone at 800-745-3000 or in-person at the Arrowhead Stadium Box Office. *Ticket prices subject to change – venue/ticketing fees may apply. Arrowhead Events, the special events arm of the Kansas City Chiefs organization, is focused on making Arrowhead Stadium an entertainment destination that serves the entire Midwest region. With more than 76,000 seats and a quarter-million square feet of event space developed as part of major renovations in 2010, Arrowhead Stadium is quickly becoming more than just a venue for football games. In the past decade, Arrowhead has played host to 13 major concert tours, has hosted multiple international soccer matches and was home to the 2015 American Royal World Series of Barbecue. For more information on Arrowhead Stadium and Arrowhead Events, please visit www.chiefs.com/arrowhead/ and follow @ArrowheadEvents on Twitter.